1. 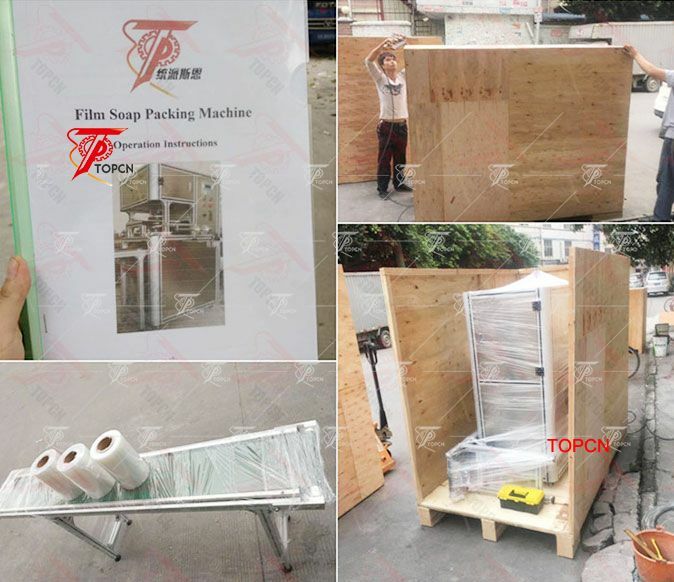 This soap wrapping machine adopt cylinder drive system, and work steady, can get very good packaging effect. 2. 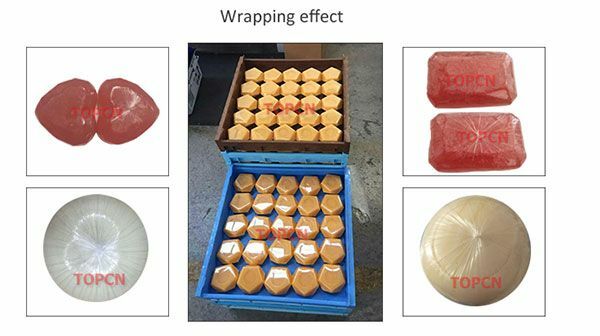 Packing film auto stretch make shape. Auto recycle the left film. 5. With simple convey system work reliable, more convenient to maintain. Characteristics 1. 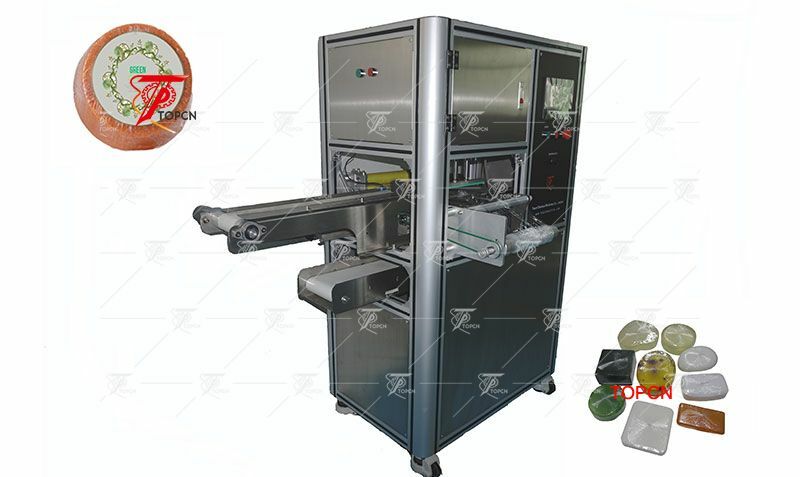 Automatic self-checking function: It will automatically self-checking the problems and display on the screen while operating. 3) At last tell me the inner diameter of your container to help us choose the best diameter of the package wrapping head. Q: What thickness of the Film? A: 0.022-0.03mm film package effect is good. Q: What material of the Film? A: Pearl Film, Phosphorus film paper, BOPP film.